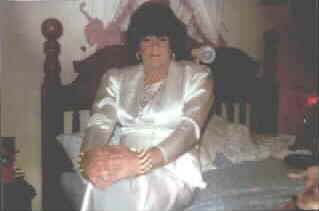 I am a 43 old heterosexual crosserdresser from Chalmette, La. I have a lovey wife fo 20 years She knows of my crossdressing and is OK with it as long as I do it one or two times a week. Once a week I dress as her maid and clean the house. When I was 7 Or 8, I was doing bad in school and at home. When my mother got my report card. she got so mad that I was not doing good in school that she made me were a little girl dress. She though I wood stay inside and not go out to play in the yard. But I liked the feel of the dress so i went out and played. When I was 10 or 11, I got the feel to dress up again, so I started to dress up in my mother dresses. I have dressed from then on. All pictures on this site are the property of the owner and cannot be reproduced without the owner's written permission.